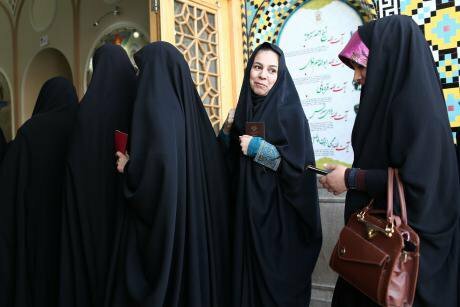 Increasing rhetoric on women’s rights in Iran: a positive sign or a mere campaign tool? Why women’s rights rhetoric is suddenly on the rise in Iran, again. Every four years during the presidential elections, Iranians are offered a unique level of freedom. Women who are otherwise punished for their non-Islamic dress codes are seen in photos with candidates, uncovered. Gender segregations are limited, and women’s rights rhetoric rises. The melancholic culture, whose holidays are mainly death anniversaries of some Imams, allows street celebrations. Citizens pressed under a crippling economy caused by sanctions, corruption, and mismanagement of resources, are offered a ray of hope, provided that they vote for so and so. What do women rights mean in a country whose supreme leader calls gender equality a “Zionist plot”? But what do women rights mean in a country whose supreme leader calls gender equality a “Zionist plot”? How is women’s participation encouraged when their very gender disqualifies them from running for the presidency? The constitution decrees the president has to be male, a believer in the Islamic Republic, and follower of the dominant sect of Islam (Twelve-Imam Shia). Thus, the greater half of the Iranian population is automatically excluded. Hence, women’s “rights” means voting, not being trusted with an important position. The number of Iranian women working in government positions has slightly increased compared to two decades ago and this has provided a perfect propaganda tool for the state. However, influential ministers such as Maryam Mojtahidzadeh, head of the women’s ministry, talk about ‘complementary’ roles for women – not equality. To this day, a woman’s most important decisions in life (marriage, child custody, divorce, employment, traveling abroad) legally require a man’s approval: a father or grandfather, a husband, or one of the all-male judges. To this day, a woman’s most important decisions in life... legally require a man’s approval. Moreover, to draw voters and earn legitimacy, the government banks on horrors of invasions. Iranians are fearful that their country would be torn apart like their neighbors: Iraq, Syria, Afghanistan. Women know they are the first victims of war and destruction and so they avoid reaching that point at all costs, even if that means supporting a dictator. The prevailing myth in Iran, what the hardliners and the so-called reformists promote, is: choose between violence and reform. They undermine options such as civil disobedience or boycotting the elections. “Reformists” have offered no plan to make significant changes to the discriminatory laws of the constitution and yet they pressure the marginalised to vote for them “for stability”. When women are legally allowed to run for lower rank positions such as city councils or parliaments, they lack the confidence in themselves and other women to trust them(selves) with managerial roles. Although globalisation, the massive population of Iranians in diaspora and access to the internet and satellites, have put Iranian women’s unfair situation in sharp contrast with the West, gender equality is not systematically taught in Iran. Many still wonder how feminism is not “a threat to families and society”. Hence, many still wonder how feminism is not “a threat to families and society”. Rising numbers of divorce are seen not as a protest to patriarchy, but as a negative impact of women’s relative liberation from cultural taboos. Although 60% of Iranian college graduates are women, they make up just 13% of the workforce. A portion of women has gained divorce and travel rights by stating those in their marriage licenses. However, the implementation of legal loopholes by the upper-middle class has not improved life for the rest of the women. The protests to gender inequality are sometimes uneducated and misguided. Society has not been taught how everyday language is inherently denigrating for women e.g. “dakhator shohar dadan”, “They married the girl” not “The girl married”. The widespread jokes that mock girls as dullards, incapable of thinking, reproduce patriarchy and recreate the distrust in women. Globalisation has changed much in Iran, but women are still welcomed only when they contribute to patriarchy and nationalism. The small freedom and hope offered during the election season, the massive propaganda about empowering women, the prevailing myth of ‘war or reformists’, allure women, minorities and other second class citizens to the polling stations. This, in turn, further legitimises the Islamic Republic and recreates a vicious cycle.